Before we say goodbye to another summer, the Kingsrow Blog invites residents to enjoy a dip in our swimming pool. Invite your friends and family to have an afternoon of fun while swimming, chatting, or relaxing on the sundeck just outside of your apartment in Lindenwold, New Jersey. 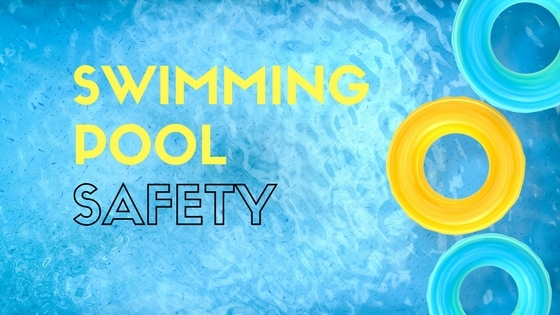 In today’s post, we’re featuring a few important swimming pool safety tips everyone should follow! Horsing around may be fun, but there are plenty of ways it can lead to getting hurt or bothering someone else, especially in a crowded pool. Remember that there are other people in the pool, so keep the splashing to a minimum if you’re close to someone, and practice having fun without getting into a stranger’s personal space. This not only is polite, but it can help you avoid accidents. Even if you’re an experienced swimmer, there’s never a better time than now to brush up on your knowledge of CPR and basic swimming first-aid procedures. Know the importance of wearing sunscreen, and make it a habit! If you have kids or will be looking after any kids who will be swimming with you, take the time now to teach them the basics of what you’re learning! Having this crucial knowledge will help you and the little ones conquer fears and approach the pool with confidence. Of course, there are also many small ways people can get hurt at the pool. Wet pavement can lead to slips, bruises, and scrapes — if not worse — so practice walking, and not running, with your kids. Teach them to stay away from suction outlets and drains to avoid getting hair or clothing caught in them. Always swim with a buddy, and know where those you’re swimming with are at all times. If you know the potential for danger, you and your children can easily avoid it. Accidents, however much we try to prevent them, sometimes do occur. Helping yourself and anyone else around you feel calm, even if an accident happens, is important because it will ease the stress and allow everyone to think clearly and react responsibly. Chaos can often make people prone to even more accidents, so let your preparation come in handy and help you stay empowered to be safe. This month, we hope you can be smart and avoid accidents at the swimming pool by making safe decisions. Let us know what you love most about swimming by sharing a comment below. Thanks for reading!